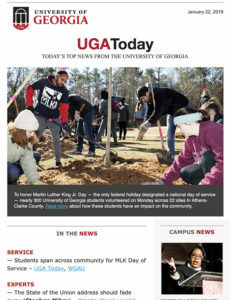 Subscribe to UGA Today, the daily e-newspaper for the University of Georgia community. 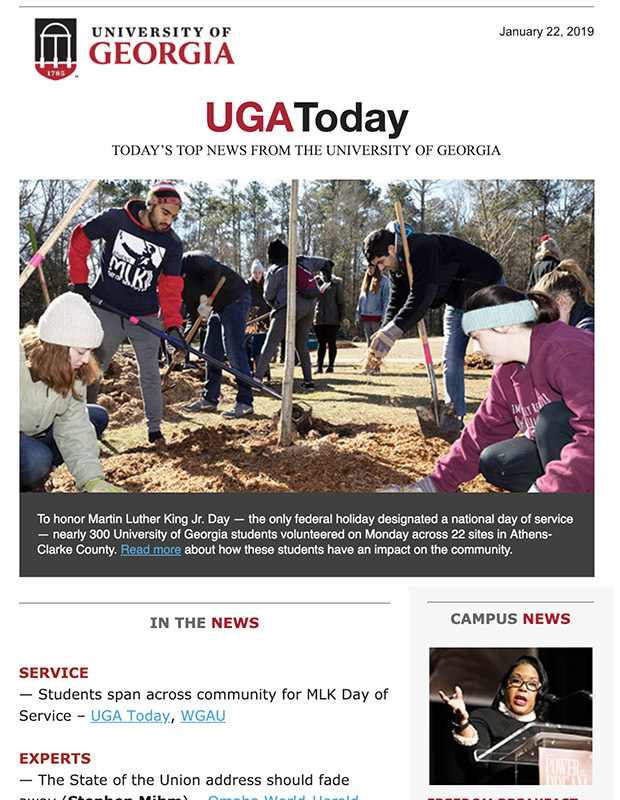 Delivered to your inbox every morning UGA is open for operations, UGA Today will keep you informed about Bulldog Nation. You will receive In the News links to mentions about UGA in the news media — from campus news to faculty experts to athletics — and all the latest news from the UGA Today news center. To view our most recent issues, visit our archive.